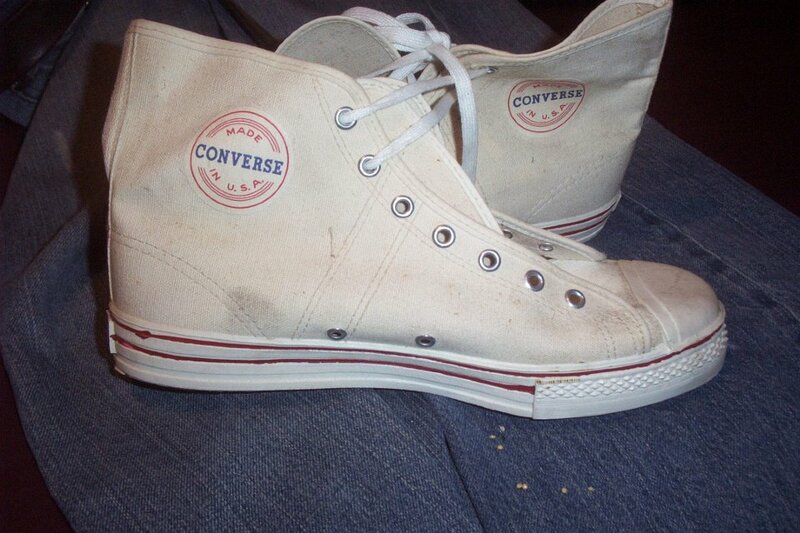 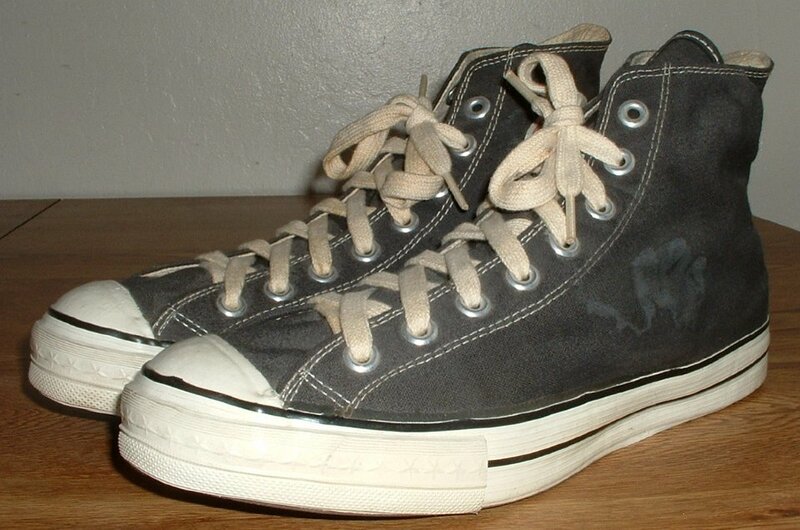 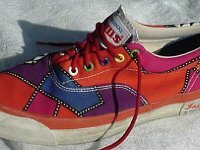 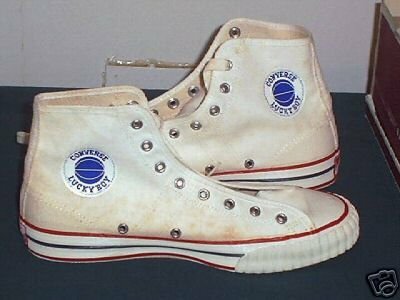 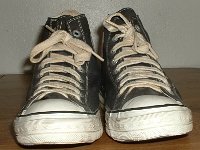 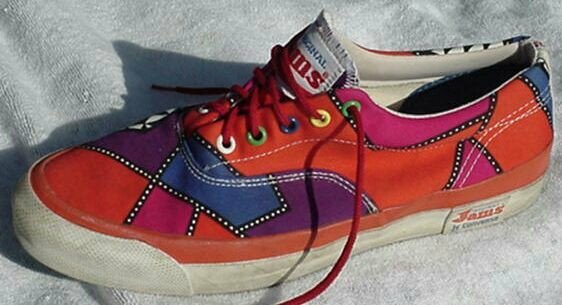 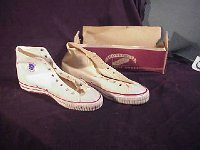 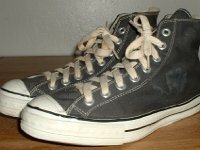 Photo gallery of other vintage Converse shoes. 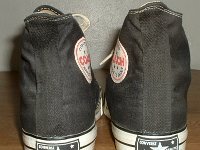 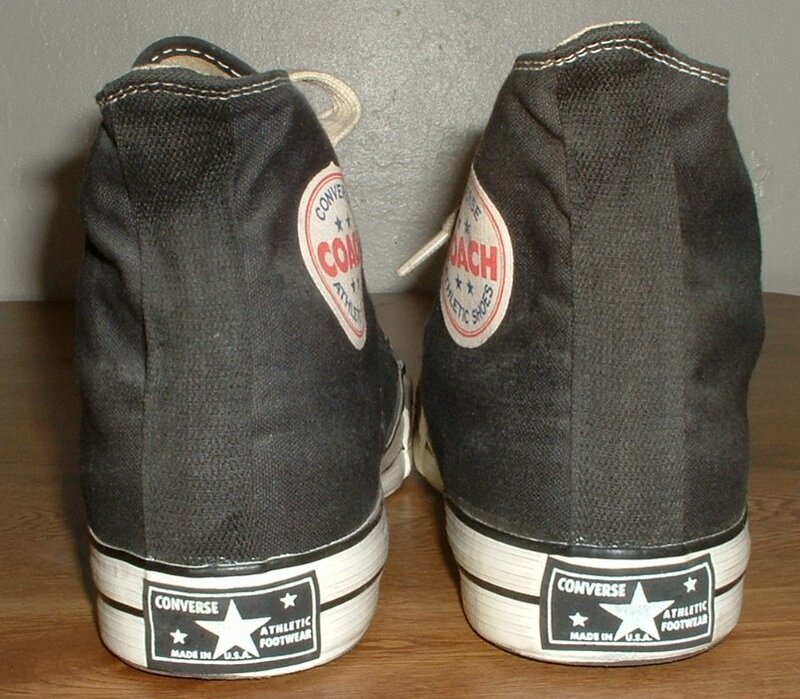 1 Converse Vintage Shoes Inside patch and sole views of black canvas high tops. 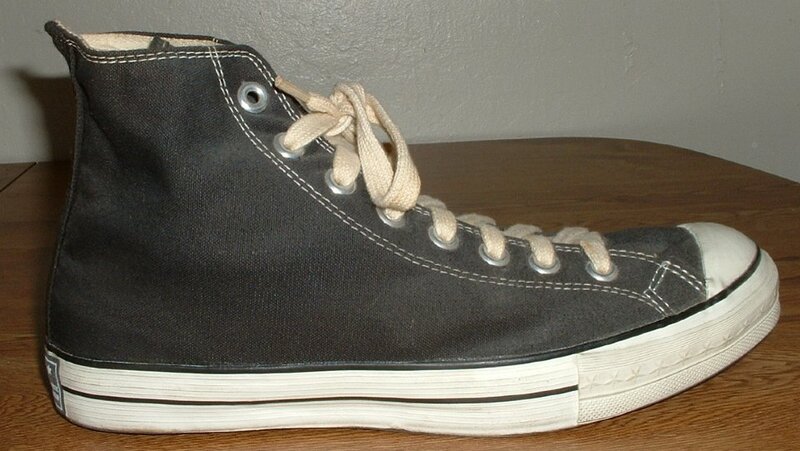 2 Converse Vintage Shoes Rear view of a black canvas high top. 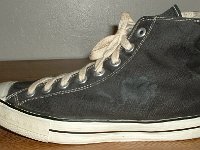 3 Converse Vintage Shoes Inner sole view of a black canvas high top. 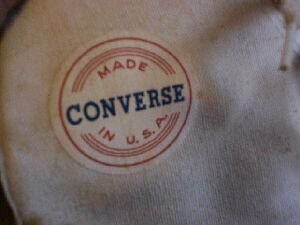 4 Converse Vintage Shoes View of the Converse Made in USA patch. 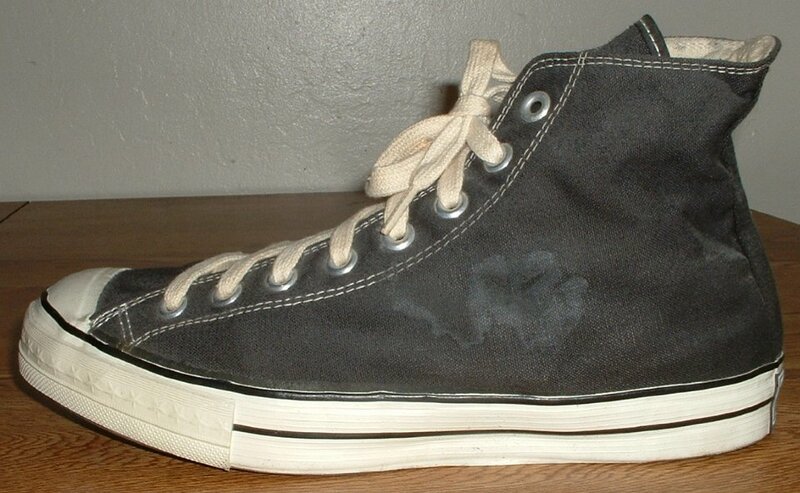 5 Converse Vintage Shoes Inside patch view of a left Converse Coach black high top. 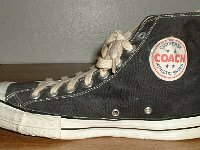 6 Converse Vintage Shoes Outside view of a left Converse Coach black high top. 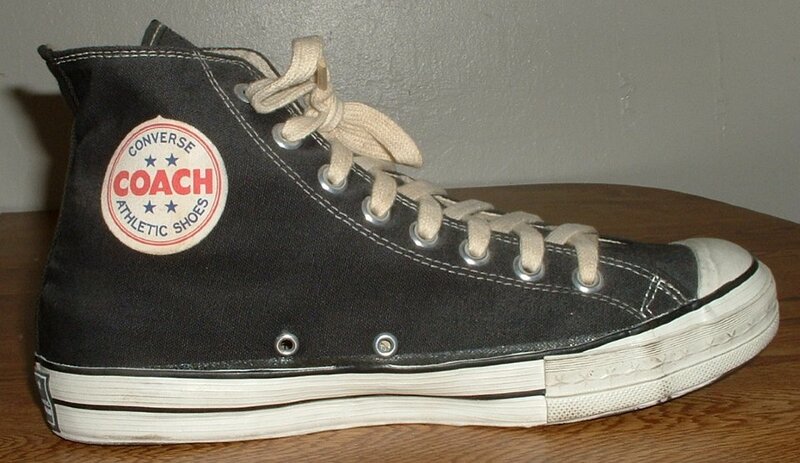 7 Converse Vintage Shoes Inside patch view of a right Converse Coach black high top. 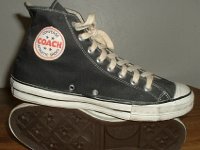 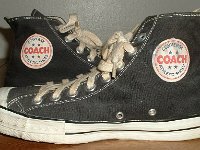 8 Converse Vintage Shoes Outside view of a right Converse Coach black high top. 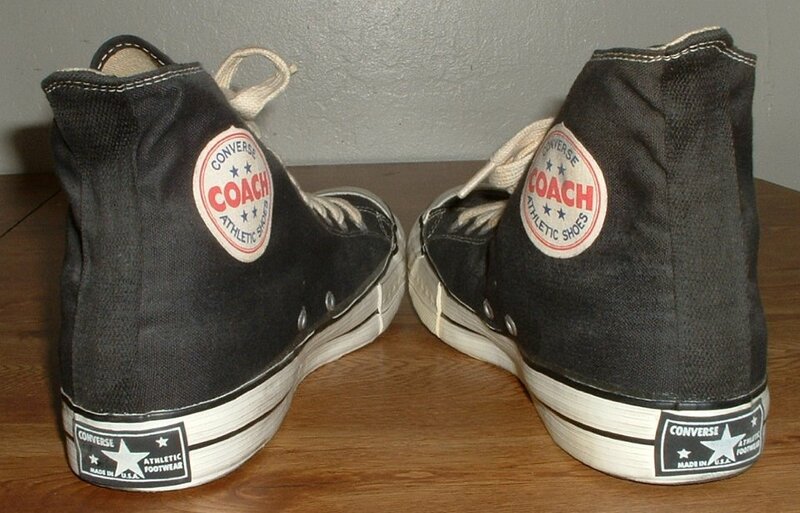 9 Converse Vintage Shoes Rear view of Converse Coach black high tops. 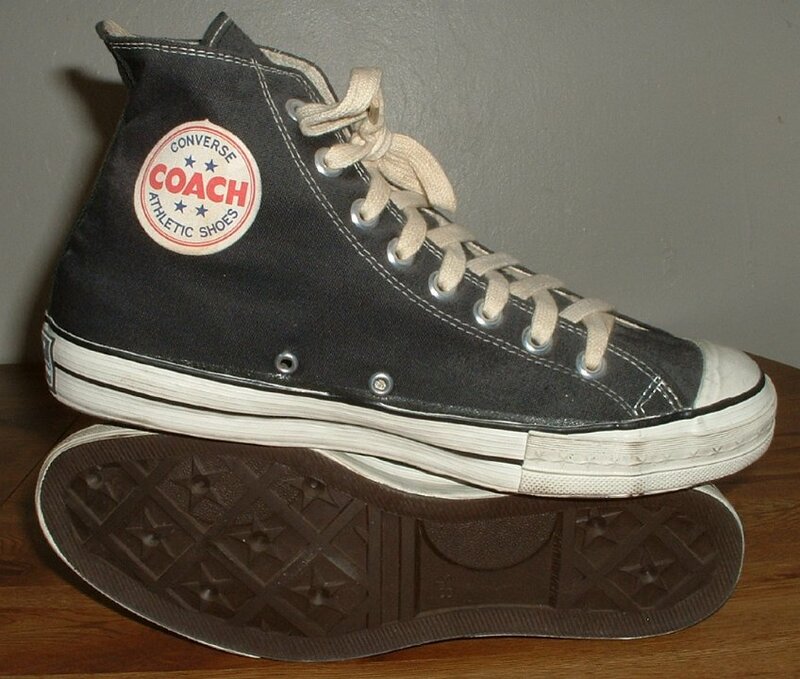 10 Converse Vintage Shoes Angled rear view of Converse Coach black high tops. 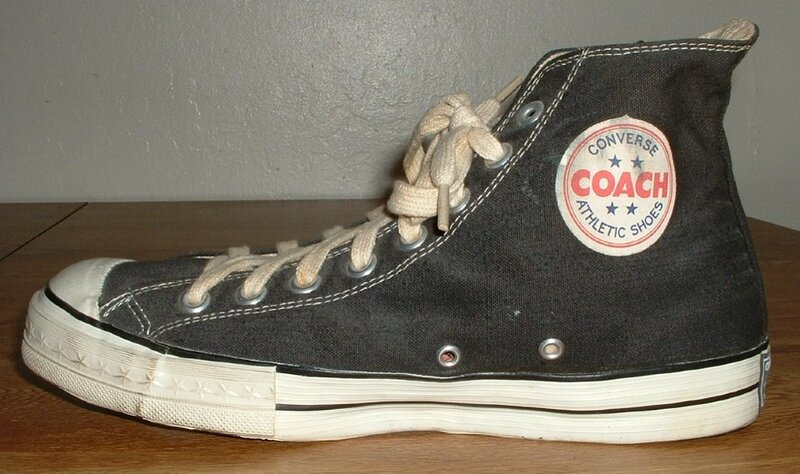 11 Converse Vintage Shoes Angled side view of Converse Coach black high tops. 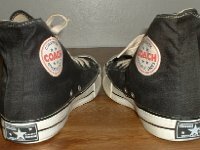 12 Converse Vintage Shoes Angled inside patch views of Converse Coach black high tops. 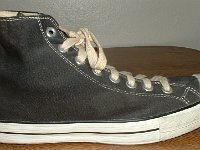 13 Converse Vintage Shoes Front view of Converse Coach black high tops. 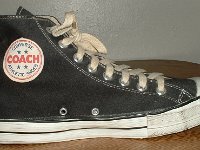 14 Converse Vintage Shoes Inside patch views of Converse Coach black high tops. 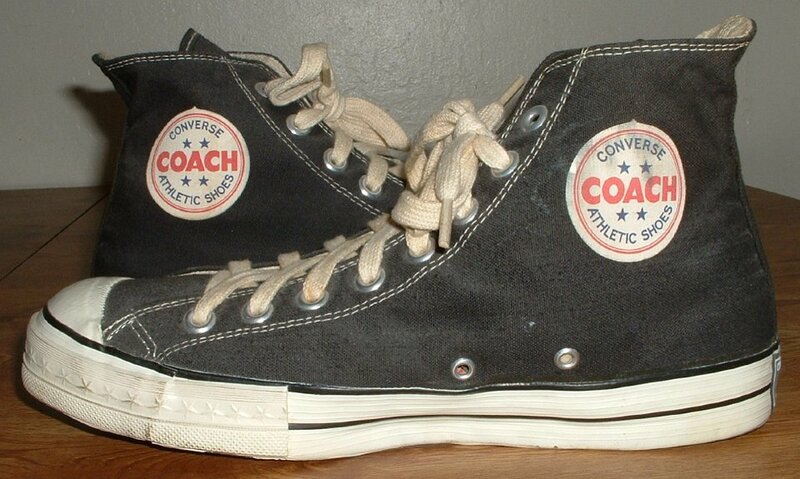 15 Converse Vintage Shoes Inside patch and sole views of Converse Coach black high tops. 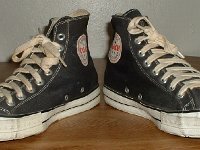 16 Converse Vintage Shoes Side view of a left Converse Jams. 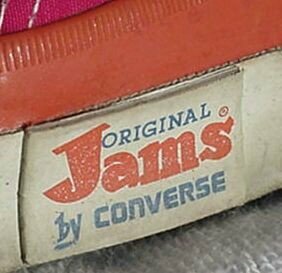 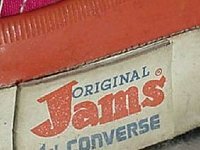 17 Converse Vintage Shoes Closeup of the Jams label. 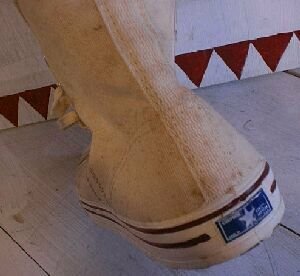 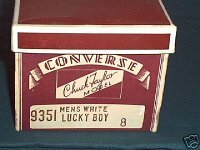 18 Converse Vintage Shoes Inside patch views of white lucky boy high tops. 19 Converse Vintage Shoes Angled top and side views of white lucky boy high tops. 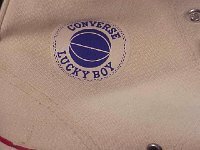 20 Converse Vintage Shoes Closeup of the lucky boy patch. 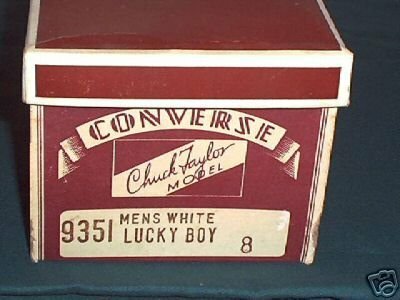 21 Converse Vintage Shoes Converse lucky boy box. 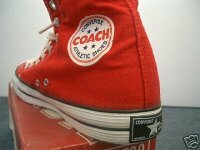 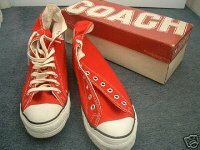 22 Converse Vintage Shoes Top and outer sole view of red coach high tops. 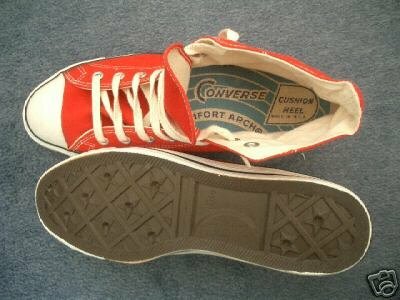 23 Converse Vintage Shoes Top view of red coach high tops. 24 Converse Vintage Shoes Inside patch view of a right red coach high top. 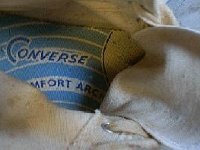 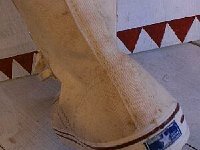 25 Converse Vintage Shoes Inside patch view of a left white canvas high top. 26 Converse Vintage Shoes View of the Converse Made in USA patch. 27 Converse Vintage Shoes Inner sole view of a white canvas high top. 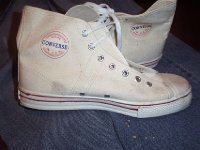 28 Converse Vintage Shoes Rear view of a white canvas high top. 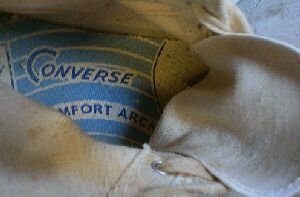 29 Converse Vintage Shoes Inside patch views of white Converse canvas high tops. 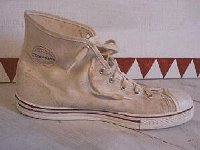 Beside their top of the line Chuck Taylor All Stars, Converse made other canvas athletic shoes. Some of those models are shown in this gallery.